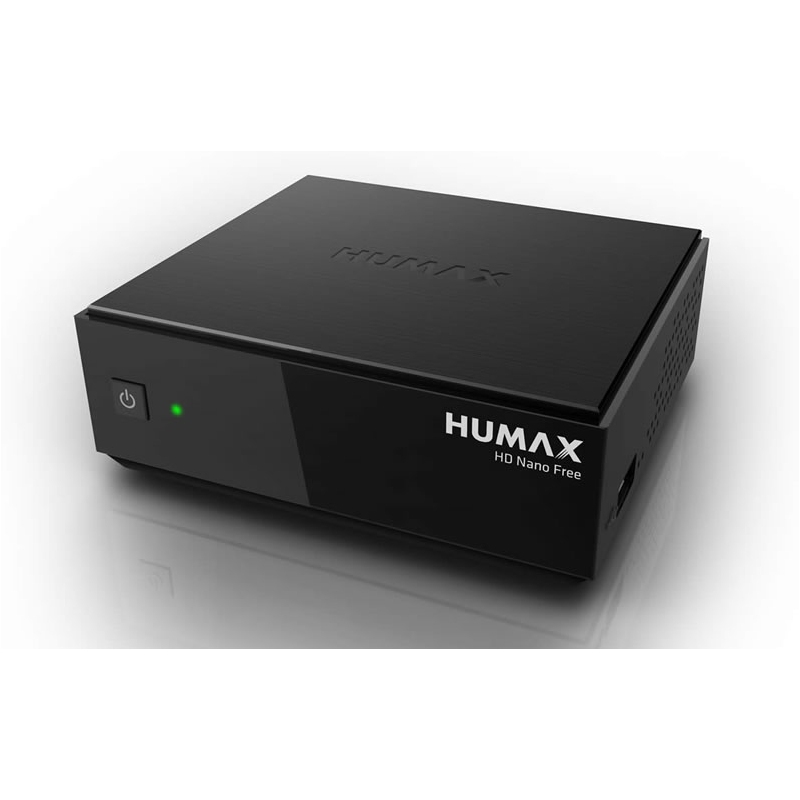 The Humax HD Nano Free is budget priced free to air high definition 1080p set top box with 12v power supply and very low <0.5W standby mode. This tiny receiver provides the sharpest HD quality picture at an amazingly low price. With the HD NANO Free enjoy both conventional SD and HDTV free to air satellite broadcasts with brilliant images. Find out what is going on with the electronic programme guide (EPG). Connect the receiver with a home theater sound system and great pictures will come with great sounds. In our tests we found this no frills receiver to be a great option if you are looking for a simple free to air set top box giving great SD and HD pictures along with top quality sound. The unit took some time to scan the whole satellite (Astra2) but once done we found the remote responsive and channel change times very quick indeed, Humax on-screen menu's are second to none too. The device also sports a concise satellite list with the ability to add your own as well as DiSEqC 1.0/1.1 switching for multi-satellite reception. TV in High Definition (HD) compared to Standard Definition (SD) is a completely new viewing experience: Clearer details, more intense colors, high contrasts and contours are simply convincing. Receive the HD NANO Free all freely available HD channels in the best HDTV picture quality. Protect environment and your wallet. With less than 0.5 watt power consumption in standby mode. Software updates can also be carried out in standby mode and keep consumption to a minimum. Let yourself be guided by a simple and quick step-by-step setup process. What actually runs today? A keystroke and you know it - the whole TV in perfect overview on your screen. Also you will get brief descriptions or interesting information about the program (content channel restrictions may apply), and plan your evening television, including recordings for the next 7 days already - by pressing a button. Connect the receiver via the optical output (S / PDIF) with your home theater system and experience rich sound. Click the button below to add the Humax HD Nano Free Compact 1080p High Definition Satellite Receiver to your wish list.